Update 27th December 2012 The work on Tower Road Bridge has finished and the Four Bridges have been open to traffic since the 17th December 2012. Tower Road Bridge (part of the Four Bridges) will be closed for maintenance on the A deck as Colas will be undertaking repairs on behalf of Wirral Council from Monday 9th January 2012. Repairs will take four to six weeks (depending on weather). 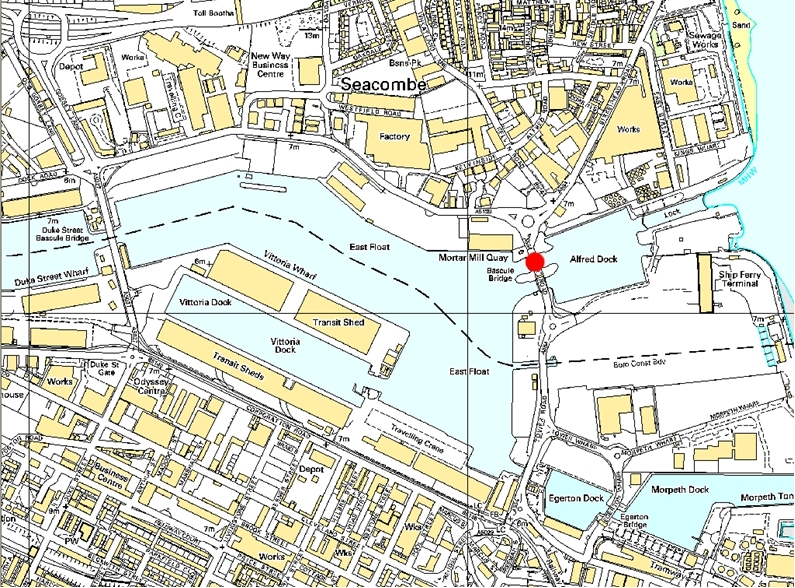 The road will be closed between the bridge’s junction with Dock Road and the Twelve Quays Ferry Terminal Access. There will be a diversion in place with traffic diverted via Tower Road, Rendel Street, Corporation Road, Duke Street, Dock Road and vice versa. All diversion routes will be signed. Footpaths will stay open. Update 24th August 2012: Maintenance for the next 16 weeks on the A and C bridges will result in diversions. Only one bridge will be closed at a time and diversions will be in place for traffic. Both A and C bridges remain open to pedestrians at all times. The work to replace steel and painting. For further information read Wirral Council’s press release. The following bus routes using the Tower Road Bridge will be diverted between Wednesday 22nd August 2012 and Winter 2012: 409, 807 to Bromborough, 811 to Broughton, 817 to Deeside/Broughton, 807 to Moreton Cross, 811 to Moreton/Leasowe and 817 to Arrowe Park Hospital. For more information on the diversions check Merseytravel’s website. Related: (Wirral Globe): Wallasey bridges out of action for 16 weeks (28/8/2012).